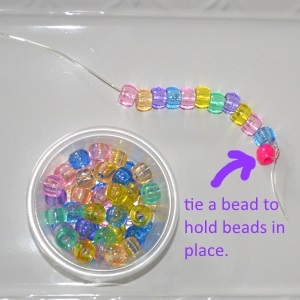 Toddler Activities: Count and sort pony beads and string together to make a cute bracelets. 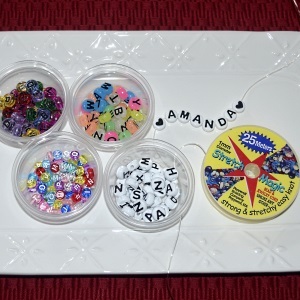 Add charms or other shaped beads like hearts for holidays like Valentines Day or use letter beads to make names. 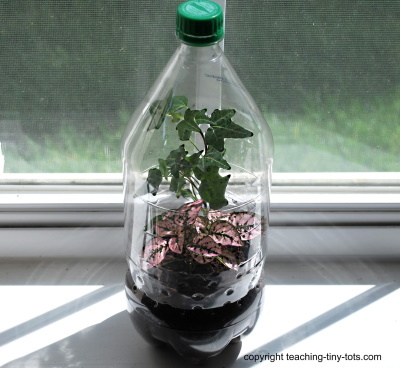 A great activity to work on developing fine motor skills. 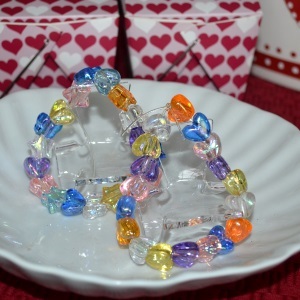 Pony Beads: Original Assorted colors, Hearts, Letters, Clear, Stars or Charms. 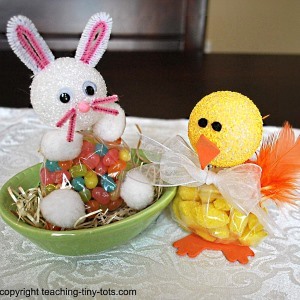 Muffin Tin, Egg Carton or Small portion cups are perfect for sorting by shape or color. Working on a cloth placemat or small towel helps keep beads from rolling of tables. Fold a piece of masking tape at one end to keep beads sliding off. Label with initials if its a group of children. Or if you prefer tie a bead at the end with a knot. 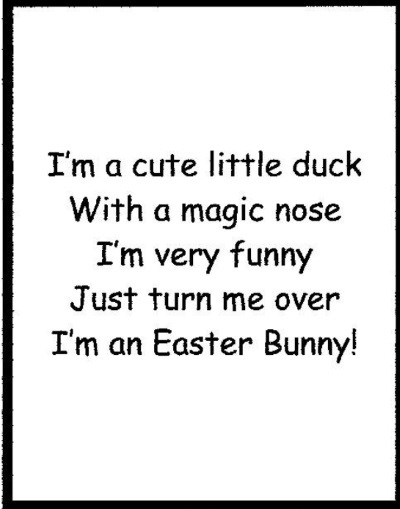 (See photo at the right). 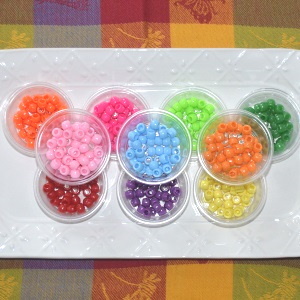 It will take about 16-20 beads depending on size of child's wrist. String the beads onto the cord and tie ends in a double or triple knot. Don't cut the ends yet. Add a drop of glue on the knot and let dry thoroughly. If you do not add the glue, this type of elasticized beading string will slip and untie. When the knot is secure, trim the ends leaving a small amount. Pony Beads come in many varieties and you can get sets of letters in a number of colors and sizes. These are fun to make name bracelets or short phrases. 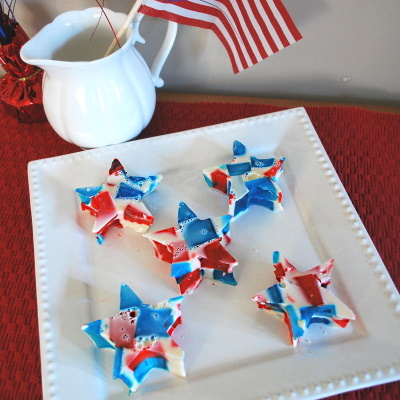 Make heart bracelets for Valentines Day, Red, White and Blue for the Fourth of July or make as a "make and take" for a birthday party using the colors or shapes to match the theme of the party. This is an easy activity that you can add sorting, color identification and even patterning.